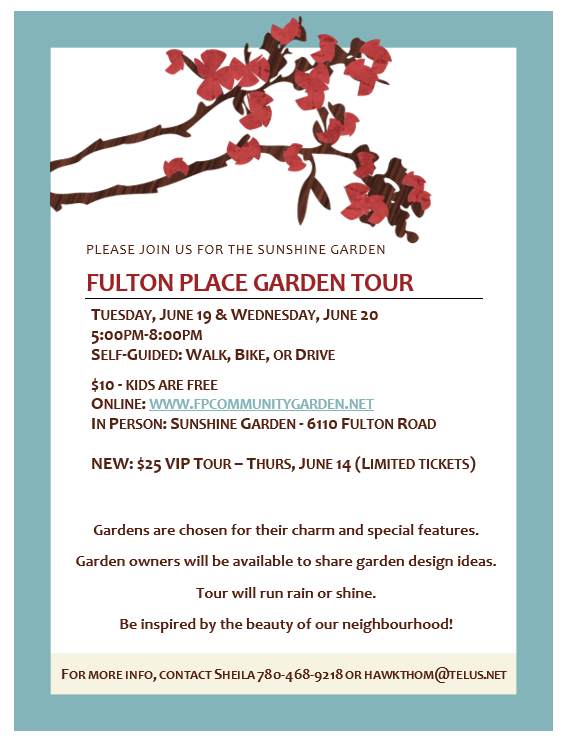 ​The Fulton Place Garden Tour is a tour of neighbourhood gardens in the Hardisty area. Each garden is unique, and gardens are chosen for their charm and/or special features. This tour took us to some amazing gardens, with beautiful trees and special features and landscapes. Chickens and bees and a permaculture garden also made an appearance at this tour, as did a tree sculpture in the form of a heart, as well as a beautiful garden pond. The 3rd annual Fulton Place Garden Tour was a great success, despite some not so helpful cooperation with the weather! The tour included unique gardens with interesting features, including those with statues, solar lights, pathways and garden art! We also had an opportunity to see the new adult fitness equipment at Capilano Community Park, as well as a historical home in Capilano on the tour. It was a wonderful way to see the beauty of our neighbourhood. This was our second successful garden tour! 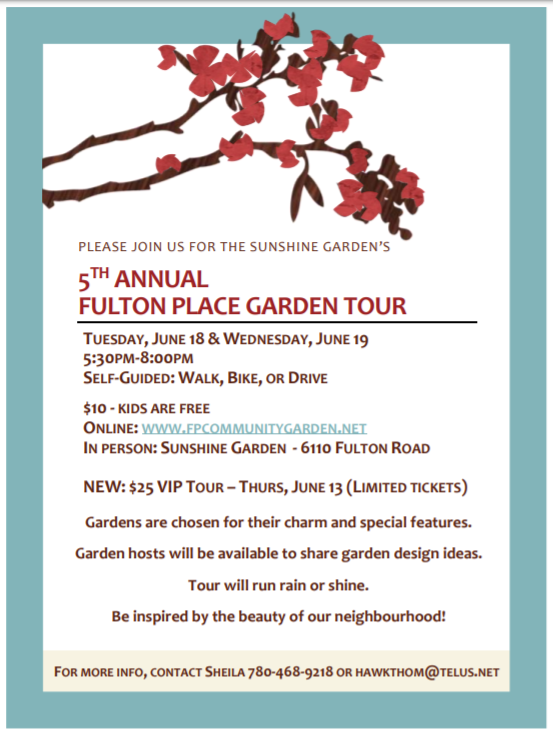 The Fulton Place Garden Tour is a tour of the lovely gardens in the greater Hardisty neighbourhood. This year's tour included the Front Yards in Bloom 2015 1st place winner, as well as gardens with honey bees and chickens! The Fulton Pace Garden Tour is one of the main fundraising efforts to support the Sunshine Garden, and so we would like to thank everyone who was involved or participated! If you are in the Fulton Place or neighboring communities and are interested in showing your yard for future year tours, Sheila would love to hear from you! 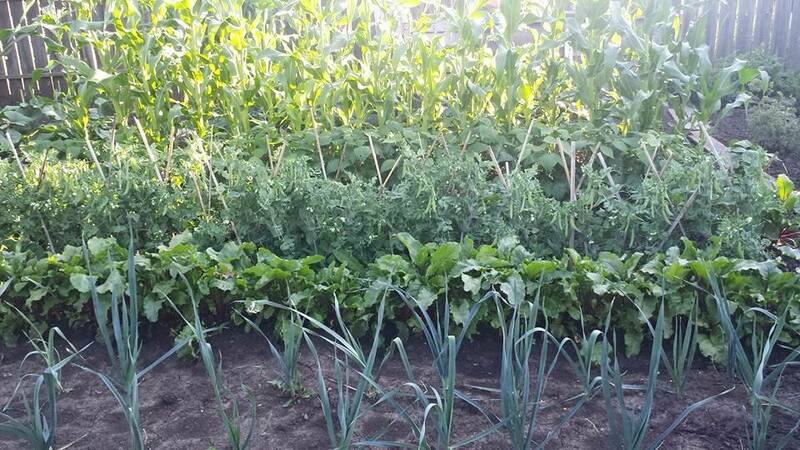 2015 was our first community garden tour to provide funding for our community garden. The 2015 tour was quite popular with our community gardeners and the general public, so we decided to make this an annual event. Highlight photos from the 2015 tour can be seen in the photo album or on our facebook page!